take your restaurant from simple to sophisticated. Your restaurant closes, your business does not. Allow your customers to see your menu/order any time day or night. Your customers can pay online or in person. Whichever is convenient for you. We support both options. No technical skills needed. Make updates and changes to your menu/website with a click of a button. Web & Mobile / Tablet friendly ordering. Your customers can order/see your menu on their PC's or mobile devices. Use a domain (.com) with your online ordering site whether using as full website or just as an online ordering site. Unlike portal sites, your customers won't see other restaurant menus. We don't take a % of your sales either! 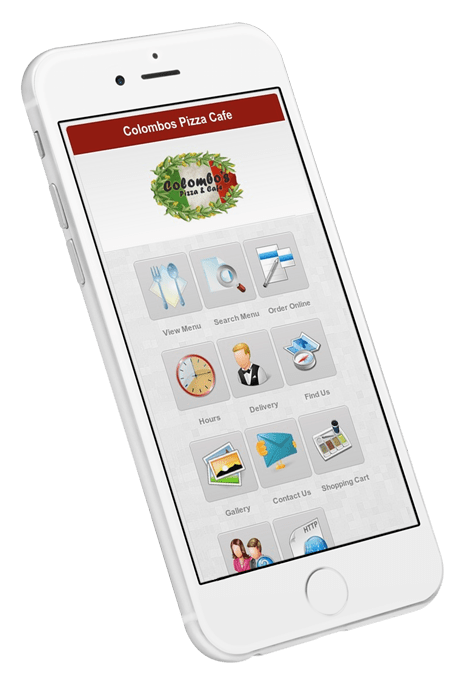 A WEBSITE & A MOBILE SITE WITH ONLINE ORDERING. YOUR RESTAURANT. YOUR CUSTOMERS. YOUR SALES. See customer data & market to them directly! The portals want to hide this from you! Get orders through fax, email, or printer. Automated call/text new order alerts. Draw your own delivery zones with their own delivery charge & minimums. Your website/online ordering site will match the colors of your restaurant logo & style. JUST $1.50 PER DAY! NO CONTRACTS. FREE SETUP! READ SOME OF OUR CUSTOMER REVIEWS BELOW. A COMPANY THAT PUTS YOUR BUSINESS FIRST! We are extremely pleased with the service and staff of 247Waiter. What seemed as a daunting task, an online ordering menu system, turned out to be the easiest task while setting up our catering and delivery service. Moreover, they make it affordable without compromising the quality or level of sophistication. During our setup phase we were concerned about support and if we would have the time to setup and maintain the menu system ourselves. Turns out the system is very intuitive and we required minimal phone support. The easy step-by-step process makes the setup process effortless. The system also allows for us to make instant changes to the menu and/or promotions, very important for us. Finally, our clients and staff love the system. Our team would to thank the whole 247Waiter team, you guys have had a huge and positive impact on our business. Our pricing is simple & straightforward. No Hidden Fees! See Pricing page for complete feature list. SSL Certificate / Encryption FREE! ONLY applies if you take online payment through our system. Lower fees than PayPal, Square, Amazon etc..!! If you don’t have a website, signing up with us will give you a full website with built-in online ordering system. No extra charge. We’re not talking about a basic awful looking website. You get something you can be proud of and show off! Do you take a percentage from every order? Absolutely not! No contracts, No obligations! Our goal is to help your business & if we help your business, you will naturally continue to use our service. If we are doing the setup 100% then 1 to 1.5 weeks look & feel and entering the menu. Depending on how big/complicated your menu is, this could be done in a week or take a little longer. Average turnaround time for us provided everything is ready is 1 to 1.5 weeks. Since you have access to everything & our system is do-it-yourself, you could enter your menu & be up and running the same day! Sign up, enter your restaurant information and put a link from your existing website to your online ordering site. If you do not have a website, it will take just a few days to get the site ready & point a domain to your site and give you a standalone website. You can process credit cards through us or get your own ecommerce merchant account. If we are doing the processing, you get your money within 24-48 hours after settlement time (6pm EST). If you are doing your own processing, you get the money as per your processor’s regular schedule. Keep in mind, if you want to do your own processing, you WILL need an ecommerce merchant account. The credit card processing account you have in store, is for retail & does not work for online. You can simply get in touch with your provider and open another account for ecommerce processing or easily use our system. Orders can be sent to you a number of ways. Sending a fax to your fax machine, e-mailed to you, viewing online through your site’s admin area & sending the order to your printer using our software or emailed to your wireless/email enabled printer such as HP ePrinters.